When You Give, You Receive. We Invite You To Walk With Us. 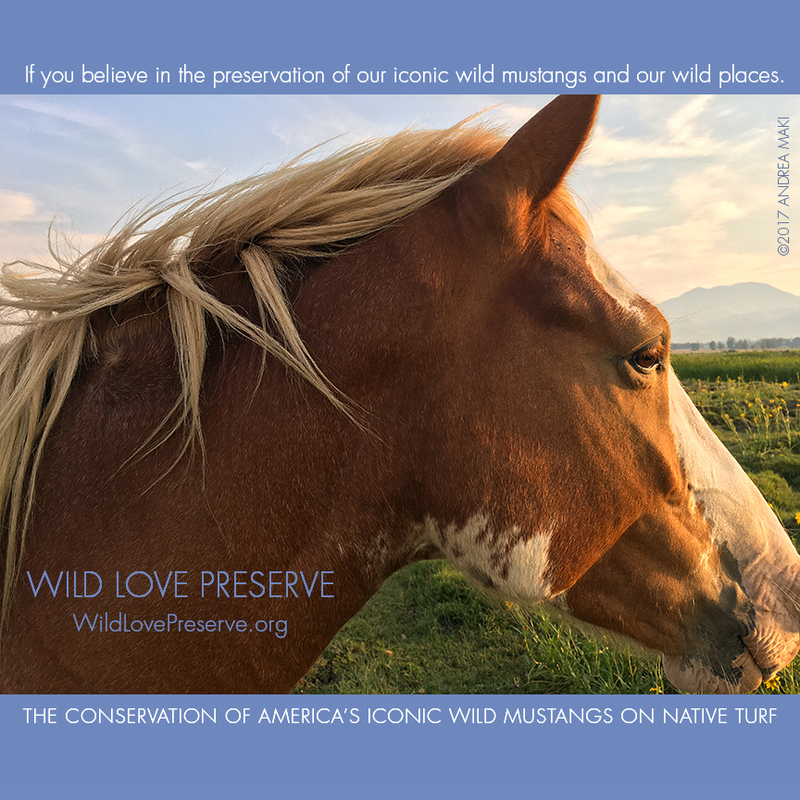 Wild Love Preserve is a legacy project and we take to very seriously the responsibility you are entrusting in us with your gifts that support lasting wildness. We are the stewards of your giving to Idaho wild horses and their preservation on home turf. We rely on grants and your donations to do the work we do on behalf of our wild counterparts. Your support benefits our wild horse conservation programs that nurture the health and balance of respective indigenous ecosystems as an interconnected whole. If you believe in the importance of our nation’s wild places, now and for generations to follow, we invite you to walk with us. Your giving ensures lasting wildness and our appreciation is beyond measure. While many prefer to remain anonymous, our WLP Giving List represents deeply appreciated wild hearts who are making a wild difference. Love is action. Thank you to all our supporters, for your positive and far-reaching impact. Donate with PayPal Giving Fund and PayPal will cover the service fees. Inquire for wire transfer details. Discover What We Achieve Together. As a lasting project in wild conservation, our wild expanse will be protected in perpetuity, ensuring the lasting wildness of Idaho wild horses and indigenous wildlife and habitat. Your support is deeply appreciated. Contributions to support Wild Love Preserve's Land Trust can be made on-line or by mail. Please inquire to learn more. GreatNonprofits Top-Rated Non-Profit 2013, 2014, 2016 + 2017. Read Our Reviews.